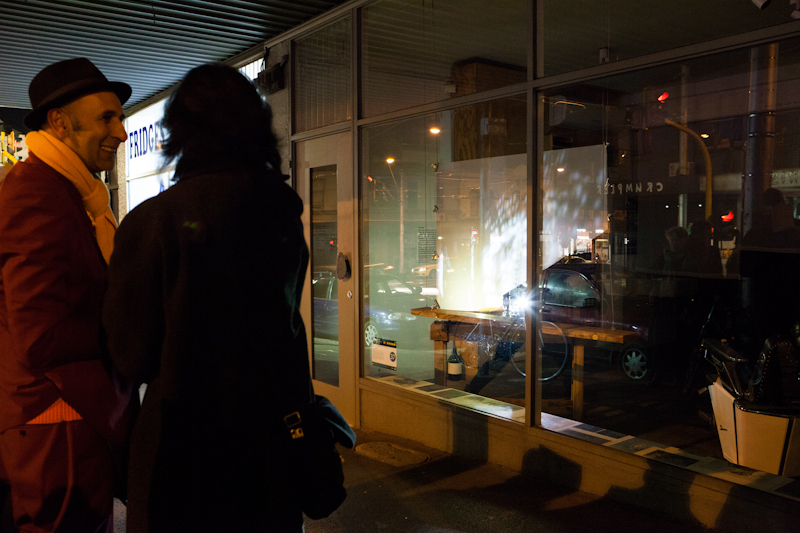 A live projection performance piece for Pianola Projector Machine at Gertrude Street Projection Festival, July 2013. 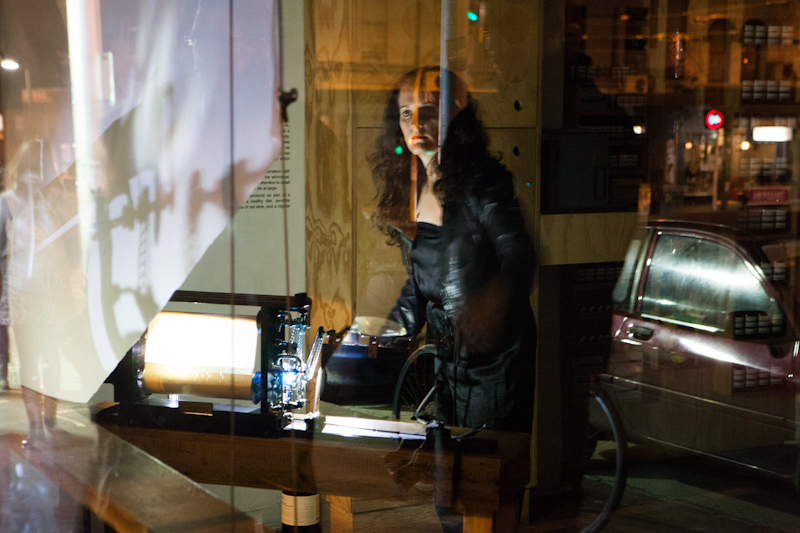 The machine is extracted from the guts of a pianola and illuminated by orchestra lights. 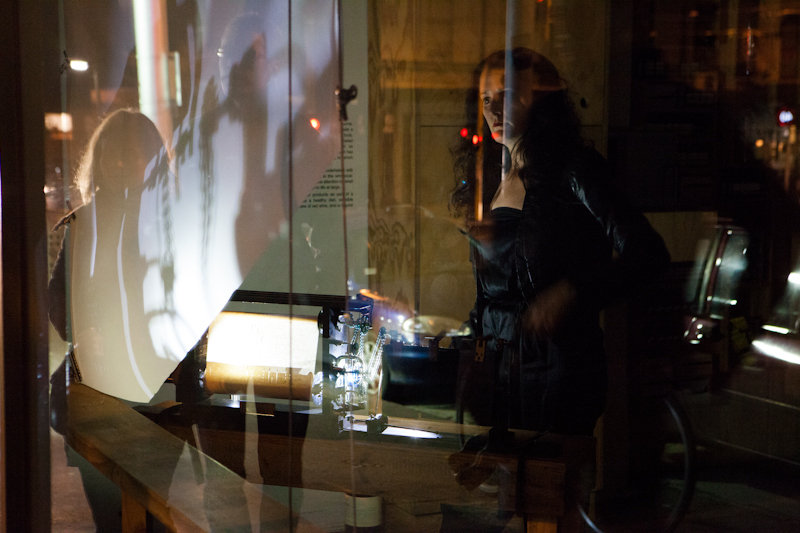 The piece has been performed in arts festivals and exhibition events with sound design accompaniment, in collaboration with dancer Janette Hoe and as a solo unaccompanied piece. Photographs by Pauline Langmead.